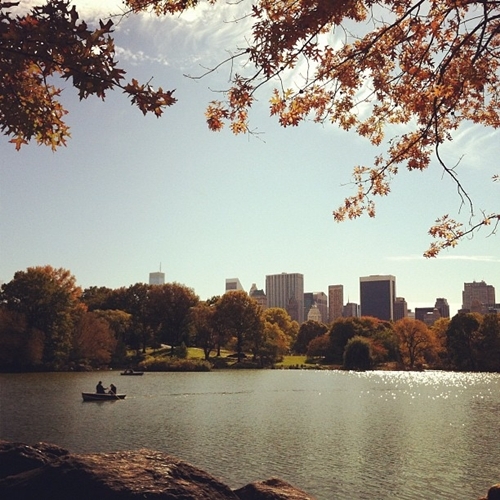 Yes, autumn is upon us. In fact, we got a sneak peek of winter the other day when it snowed. In October. It’s time to eat lots and lots of warm orange foods and put cinnamon on everything. Which is what I did the other day when I roasted up these veggies. I assure you, the smell is better than a Yankee Candle. 1) Toss all ingredients in a large bowl. 2) Spread on a cookie sheet and bake at 400 degrees for 40 minutes. 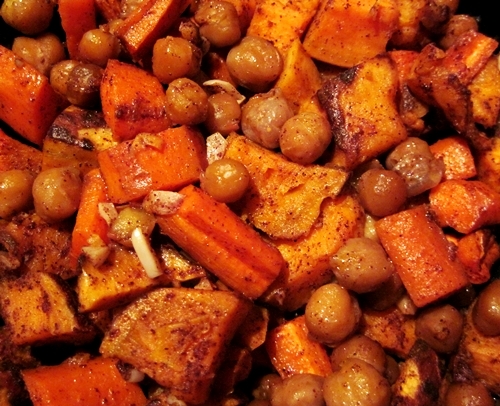 This entry was posted in side dishes, vegetarian and tagged carrots, chickpeas, sweet potatoes. Bookmark the permalink. I love the colors and textures, let alone the taste!